Comedic actor Thomas Lennon, best known for his work on TV shows like Reno 911!, The State, and The Odd Couple, had never actually seen a Terrence Malick film when he was asked by his agent to appear in one. 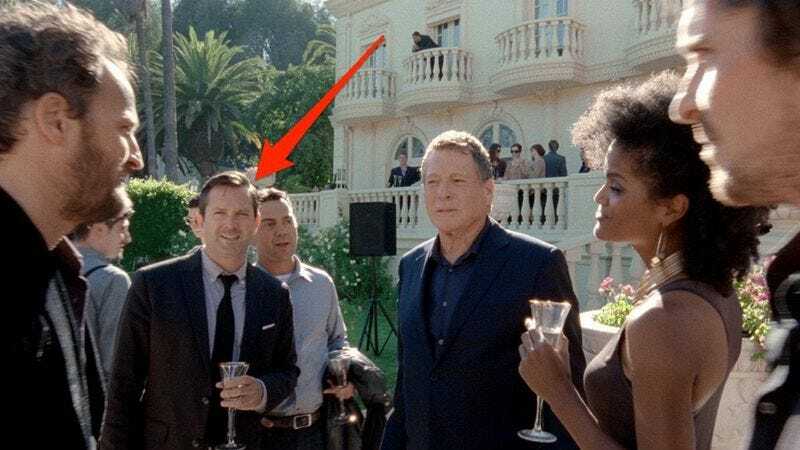 In an article by Jason Guerrasio in Business Insider, Lennon shares his brief but memorable experience of portraying a Hollywood party guest at a mansion in Malick’s Knight Of Cups. He calls it both “the single most fun day I’ve ever had on a movie set ever” and “an absolutely batshit crazy day.” The mysterious Malick is one of the movie business’ most baffling enigmas, avoiding interviews and spending years fine-tuning his films, including 2011’s The Tree Of Life, in post-production. As Lennon found out, the director’s working methods are every bit as odd as the movies he occasionally manages to complete.